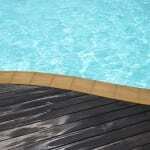 Resurface the pool – If your pool doesn’t look as nice as you’d like, consider giving it a facelift. There are amazing products on the market that can transform your pool. Add a sound system – From soft, relaxing music when lounging on or by the water to lively music for your next pool party, you’ll appreciate having a high-quality sound system. Add amenities – There are several amenities you could add to your pool renovation project, including an outdoor cooking area, hot tub area, fire pit, LED lighting, or waterfall. Spruce up the deck – A pool renovation complete with concrete pavers will not only look great but boost the value of your home. Add landscaping – The use of both hard landscaping and greenery can give your pool area an entirely new feel. Take it from ordinary to looking like a tropical retreat or perhaps a Roman formal garden. The key is to go with what speaks to your senses. Kick up the technology – There are so many advances in automation that your pool renovation could not only improve the look of your pool but also make it easier to care for leaving, you more time to enjoy it. If you would like more ideas about how a pool renovation could transform your home into a place you’ll love to be, give us a call at S & H Pools.